The good news is that AFOs appear to provide clinical benefits in the management of CP. The bad news is that these benefits are modest relative to the gait deficits experienced by this population, and global indices of gait quality may not capture them, especially in diplegic CP. The ugly news is that the descriptions of the devices used in clinical trials remain insufficient to completely translate any findings into clinical practice. An awareness of these realities allows the field to celebrate their victories while addressing areas of immediate need for improvement. Since then, the literature has matured, and the results are more encouraging. The good news is that we can now assert, based on systematic review and meta-analysis, that AFOs have beneficial effects for children with CP. The bad news is that we may have trouble quantifying the efficacy of these devices when more global gait indices are used. The ugly news is that the authors of academic publications on this topic still struggle to describe their AFOs in enough detail to facilitate a translation of their findings into clinical practice. This article unpacks several recent publications in this area and summarizes some of their findings—the good, the bad, and the ugly. There is an increasing body of evidence that demonstrates the benefits of AFOs in children with CP. [1,3] A recent systematic review identified 17 studies published between 2007 and 2015 that cumulatively investigated 1,139 children with CP. Most of these children had spastic diplegic presentations (n = 893), with spastic hemiplegia (n = 128) and quadriplegia (n = 59) also reasonably represented. Given the range of patient presentation and interventions, summarizing gets a bit confusing, but is attempted as follows. 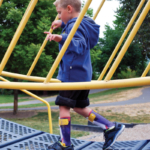 For children with diplegic CP, both step length and stride length are improved with a range of interventions including solid, articulated, ground reaction, and posterior leaf spring AFOs. The impact of solid AFOs on energy expenditure is uncertain, with various authors reporting increased, decreased, and equivalent expenditures. Ground reaction AFOs restrict sagittal plane ankle motion, with a concomitant reduction in stance phase knee flexion and energy expenditure. For children with hemiplegic CP, stride length is improved with solid, articulated, ground reaction, and posterior leaf spring AFOs. Articulated AFOs are further identified with improvements in single-limb support time, gait symmetry, and energy expenditure, while solid AFOs reduce knee flexion at initial contact. Unsurprisingly, dorsiflexion at initial contact and through swing phase is favorably increased in children with hemiplegic CP with both solid and articulated AFOs. Posterior leaf spring AFOs decreased maximal swing phase knee flexion and stance phase hyperextension while increasing hip ROM during stance. Among mixed cohorts (diplegia and hemiplegia), solid AFOs favorably increased knee and hip ROM toward able-bodied values with increased peak knee-extension values. Walking speeds increased for both groups with the use of solid and hinged AFOs, with more pronounced improvements in children with diplegia. 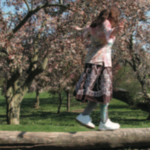 Posterior leaf spring AFOs improved walking speed among children with hemiplegia, while floor reaction AFOs improved walking speed among children with diplegia. 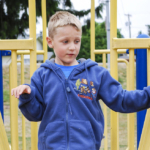 Again, it’s a complex mass of information, but the central point is that a range of AFO designs has produced observable benefits in children who experience a range of gait-related CP symptoms. These findings are echoed in a less detailed published abstract reporting upon the findings of a recent meta-analysis  This effort ultimately evaluated 17 studies with 490 subjects and produced similar, if more generalized, findings. Namely, among children with CP, AFOs increase stride length (15 studies), increase gait velocity (16 studies), decrease cadence (15 studies), increase ankle dorsiflexion at initial contact (11 studies), increase ankle dorsiflexion in swing phase (seven studies), and decrease ankle power generation (six studies), culminating in encouraging summary statements regarding “clinically significant effects of AFOs” during both swing and stride phases of gait. However, there is evidence that the isolated benefits caused by AFOs at certain joint segments or during certain phases of gait may not be enough to sway more global measures of gait. This potentiality is evidenced in a very insightful recent publication on children with diplegic CP. Fifty-three children, with an average age of eight years old, were recruited. 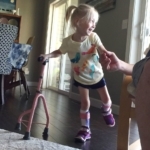 It was a diverse cohort comprising children walking unassisted (n = 25), using a walker (n = 18), a pair of crutches (n = 8), or a single cane (n=2), wearing solid, articulated, or the always nebulous “dynamic” AFO, and presenting within Gross Motor Function Classification Scale (GMFCS) levels I, II, and III. The children went through a gait lab with and without their AFOs, and the isolated gait lab data was quite encouraging, mirroring many of the benefits described above. Walking velocity increased by about 10 percent, step and stride length increased, stance phase ankle plantarflexion decreased 5-10 degrees, and swing phase dorsiflexion increased by the same amount. Knee extension in stance also improved by an average of about 4 degrees. The authors then used the gait lab data to populate well-established global gait indices. These included the Gillette Gait Index (GGI), the Gait Deviation Index (GDI), and the Gait Profile Score (GPS). The GGI, once titled the “normalcy index,” was developed to represent how far an individual’s gait deviates from a normal gait pattern in a single number. It acknowledges such considerations as the ROM and peak values and the indices for variables like pelvic tilt and rotation, hip flexion, rotation and abduction, knee flexion and dorsiflexion, as well as foot progression angle, cadence, and walking speed. The GDI and GPS are less comprehensive, more generalized, and closely related, taking into consideration kinematic observations on pelvic obliquity, tilt and rotation, hip abduction, flexion/extension and rotation, knee flexion/extension, ankle dorsiflexion/plantarflexion, and foot progression angle. As the U.S. healthcare system continues to place increasing weight on value and healthcare economics, global health indices are becoming increasingly common. More common examples include measures like the 36-Item Short Form Health Survey, the Patient-Reported Outcomes Measurement Information System PROMIS-29, and the EuroQol Group’s EQ-5D. Their purpose is to facilitate the comparison of outcomes in unrelated diagnoses and presentations, toward a universal standard of global health or well-being. With this construct in mind, it is less surprising to note that the GGI, GDI, and GPS all failed to demonstrate significant improvements with the utilization of AFOs. The gait patterns of diplegic CP are complex and comprehensively compromised. It appears that targeted improvements in certain gait values, especially at the knee and ankle, simply aren’t enough to influence these global gait indices in a meaningful way. This is important information because the measured impact of any intervention depends on the appropriateness of the ruler used to measure it. Just as many pharmaceuticals require a microscope rather than the naked eye to validate the impact and efficacy, the impact of AFOs on CP gait, though real and meaningful, requires the use of measures that are more sensitive and specific to this population. A related study recently confirmed the inability of the GPS to measure the benefits of AFOs in children with diplegia but suggested that the less compromised presentation of hemiplegia may improve enough with an AFO for the GPS to observe significant improvements. The authors of this effort were familiar with the article previously described and considered all the aforementioned global indices of gait compromise. They ultimately selected the GPS because it can be deconstructed into nine separate Gait Variable Scores (GVSs) for nine key kinematic variables (pelvic and hip kinematics in all three planes, knee and ankle kinematics in the sagittal plane, and foot progression angle). The authors recruited 21 children with CP (11 with hemiplegia and ten with diplegia) rated within the GMFCS as levels I and II. Unlike the previously described trial, all subjects were able to walk without the use of crutches or a walker. 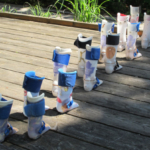 Supramalleolar orthoses (SMOs) were the more common intervention, worn by eight of the subjects with hemiplegia and four of the subjects with diplegia, with articulated AFOs worn by the remaining three and six subjects respectively. 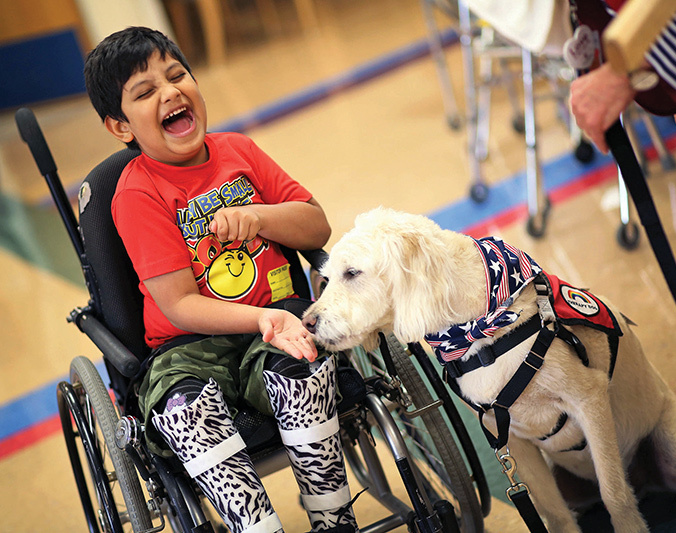 Consistent with another trial, the use of prescribed AFOs benefited the children with diplegia. In this case, significant reductions were seen in pelvic tilt and ankle dorsiflexion/plantarflexion. (From a clinical standpoint, it is relevant to observe that the profoundly elevated knee flexion values characteristic to diplegic CP were unchanged using AFOs, but this would have been expected based on the choice of SMOs and articulated AFOs, neither of which is capable of reducing stance phase ankle dorsiflexion or knee flexion in a clinically meaningful way). However, the changes in the overall GPS scores can be characterized as non-significant improvements. For children with hemiplegia, the results were more favorable. Regarding the more focused GVSs, significant improvements on the hemiplegic side were observed in pelvic rotation and obliquity, knee flexion/extension, and ankle dorsiflexion/plantarflexion. The sound side also benefited with significant improvements observed in pelvic rotation and obliquity, hip abduction/adduction, ankle dorsiflexion/plantarflexion, and foot progression angles. Viewed in aggregate, these improvements in GVSs were sufficient to yield a significant mean improvement in the GPS score. So, the authors identified 55 studies examining the effect of AFOs on CP-related gait to determine whether these studies provided adequate descriptions of the interventions that were being tested. Their conclusions constitute “the ugly” when it comes to AFO research in CP. Less than half of the investigated papers reported the AFO material. Roughly two-thirds failed to describe trim lines at the ankle, the height of the AFO, foot-plate design, or the material thickness. Over half neglected to report on the ankle angle of the device and well over one-third failed to report whether the devices were custom or off-the-shelf. Collectively, the authors were unable to identify a single study that provided enough description of the tested orthoses to allow clinicians to replicate the examined device. Are Gait Indices Sensitive Enough to Reflect the Effect of Ankle Foot Orthosis on Gait Impairment in Cerebral Palsy Diplegic Patients? Danino B, Erel S, Kfir M, Khamis S, Batt R, Hemo Y, Wientroub S, Hayek S. J Pediatr Orthop. 2016 Apr-May;36(3):294-8. doi: 10.1097/BPO.0000000000000429. Do research papers provide enough information on design and material used in ankle foot orthoses for children with cerebral palsy? A systematic review, Eddison N, Mulholland M, Chockalingam N. J Child Orthop. 2017 Aug 1;11(4):263-271. doi: 10.1302/1863-2548.11.160256.